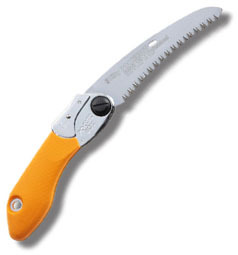 The Bigboy 2000 folding saw offers a curve bladed version of the well-known Bigboy. 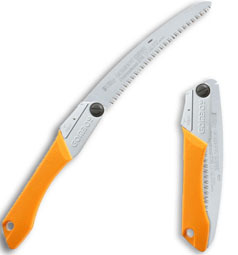 With a 360mm blade it offers greater reach than most folding saws with the exception of the Katanaboy. 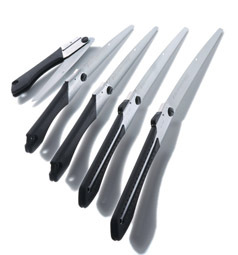 It is equipped with a perfectly-balanced uniquely-shaped low angle curve (2000 mm radius), hard chrome-plated blade. 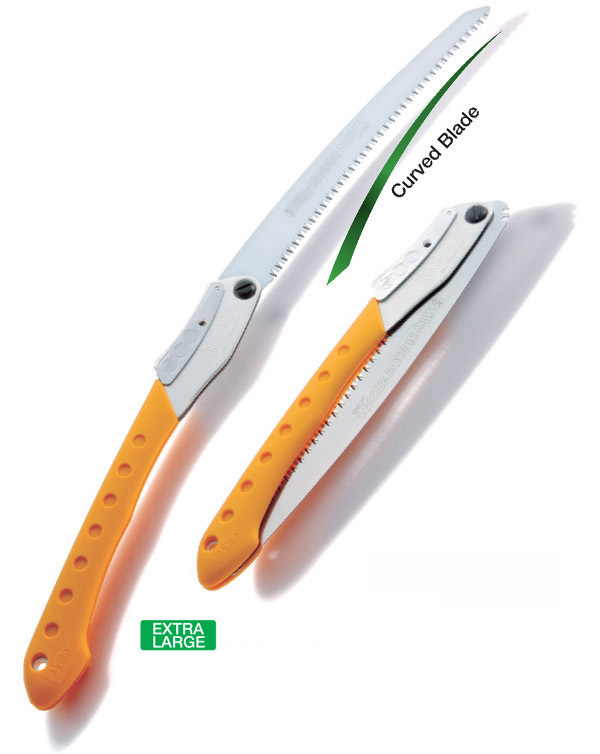 The low angle curve enables cutting branches smoothly and incredibly fast. With its 360mm blade and rubber-cushioned, double-fist handle, you'll have all the cutting power you need waiting right in your back pocket. 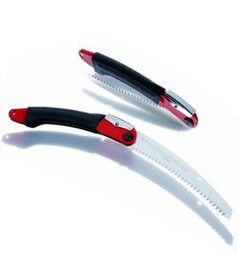 The long well-balanced taper-ground blade with impulse-hardened non-set teeth design provides extended working reach, faster cutting and handles large limbs and small trunks with little effort. 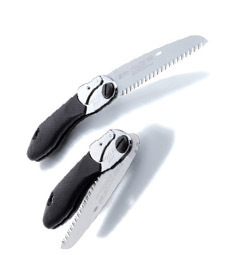 It is not possible to sharpen the blade but the saws are designed to have replaceable blades. Other parts are also available. There is just one screw to unwind in order to change the blade. The manufacturing process uses the technique of high-frequency electro-impulse hardening during which the teeth are heated and hardened. Importantly, only the teeth are hardened, not the rest of the blade. Thus the blade retains its original flexibility whilst the teeth have a life which is up to 3 times longer than that on standard saws.